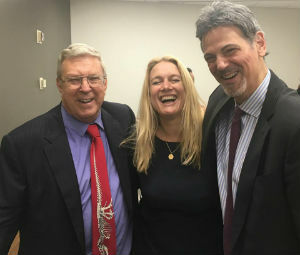 Accomplished Professionals Breakfast members gathered on Thursday morn at Manhattan’s Time Square Tower in the offices of White and Williams to swap , forge new connections, and discover new solutions. In a convivial atmosphere, experienced leaders tuned over new angles on a host of topics including recent retail spikes, foiling cyber theft systems, peacekeepers in Sudan, exceptionally effective incentive systems and more. The AFB is an invitational group founded by Prometheus CEO Bart Jackson, White and Williams partner Randy Friedberg, and global C-suite recruiter Sharon Mahn. Who says taking your business to the next level can’t be fun? ← Newsflash: Business Just Got Cheaper!